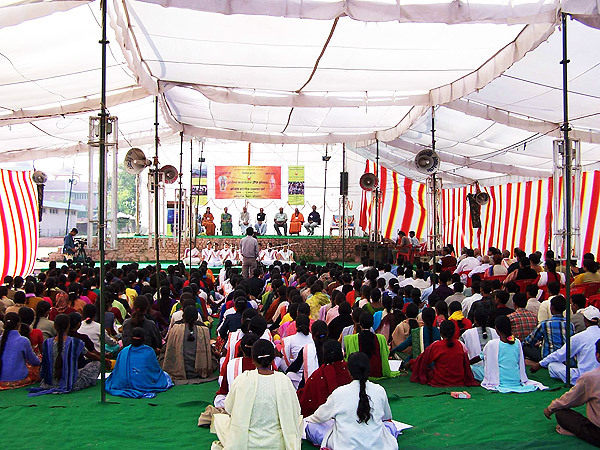 Ekal foundation chapter Bharat Lok Shiksha Parishad,had its annual function on 6th november2005 at Punjabi Bagh stadium New Delhi.A play named "DANVIR KARNA" [A character of the epic Mahabharatha] by Shri Ram Bhartiya Kala Kendra was depicted on this day. The programme was attended by around 1600 people and was appreciated by all.Vice Chancellor of Guru Gobind Singh Indraprastha University New Delhi Mr K.K.Agarwal inaugurated the function by lighting the lamp. During the months of November & December 3500 full time Karyakartas are to be trained in the production of Organic Manure for which complete training programme has been prepared. 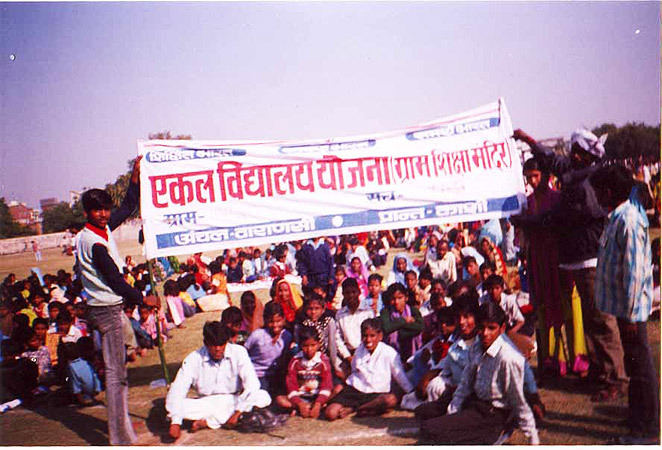 Arogya Foundation Of India held its first National Meet [Samanvay Varg] in Agroha Dham near Hissar Haryana on 11th and 12th November 2005. Around 305 full time workers [235 women + 70 Men] and 145 Kendriya Toli, Samiti Members and some special guests from all over the country attended the meet. This movement is predominantly a Women's Movement. At present we have more than 3000 Arogya Sevikas working in villages under Arogya Yojna. 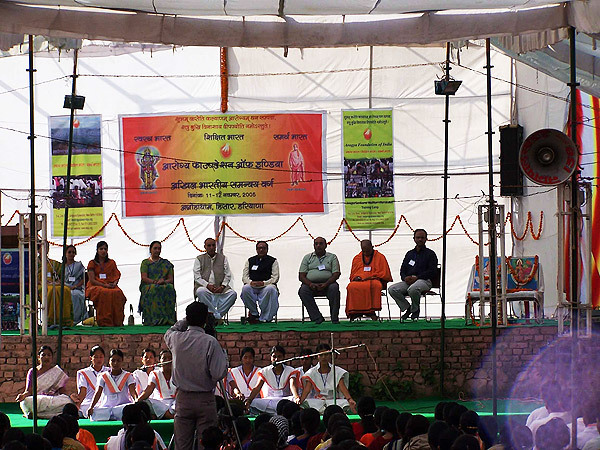 Till March 2006 Arogya Yojna will reach 7000 villages and aim is to make it reach 10,000 villages till October 2006. 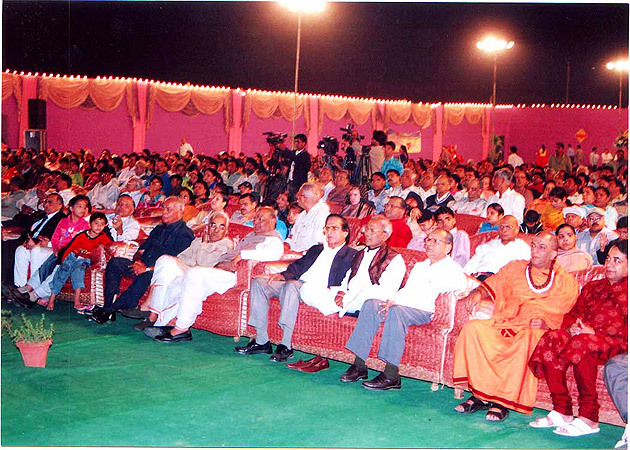 The program was inaugurated by Shri Nand Kishore Goenka (President of Agroha Nirman Samity, Agroha Dham). He was overwhelmed at seeing the total involvement of women in the organization and blessed them for their success. 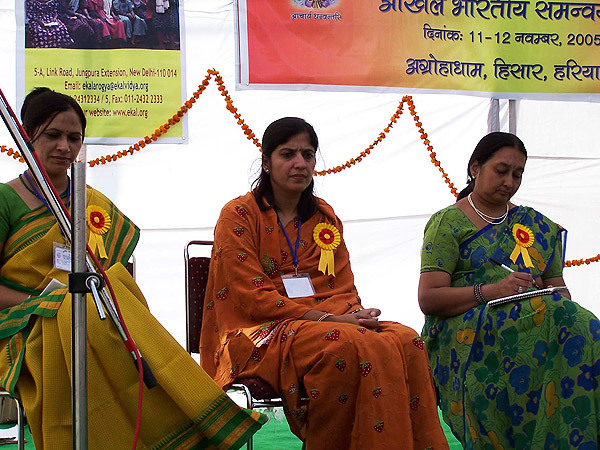 The programme was also attended by dignitaries like Ma. 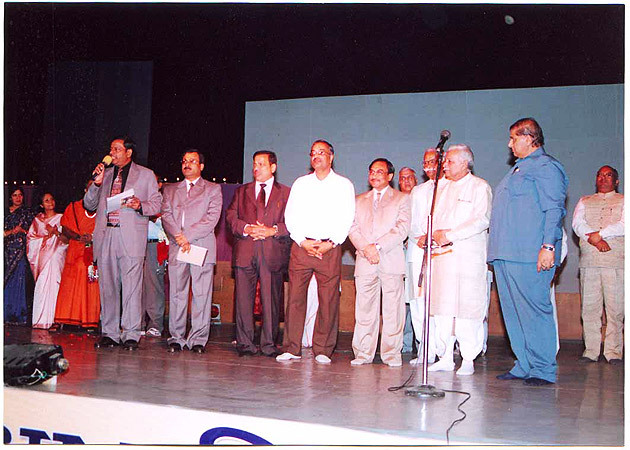 Shyamjee Gupta, Sri Laxmijee Goel, Sri Subhashjee Aggarwal, Sri Satyendra Prakash, Sri Roshan Laljee Aggarwal, Sri Satya Narayan Bandhu, Dr. Veena Jaju and Sri R. N. Saboo, . 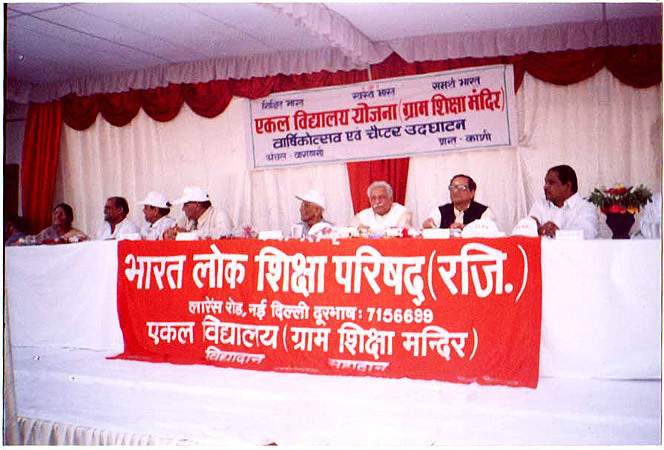 Bharat Lok Shiksha Parishad [a supporting organization of EVFI] inaugurated its first chapter in Varanasi on 19th November 2005. Shri Subhash Aggarwal [Co-Chairman of BLSP] with Ma. 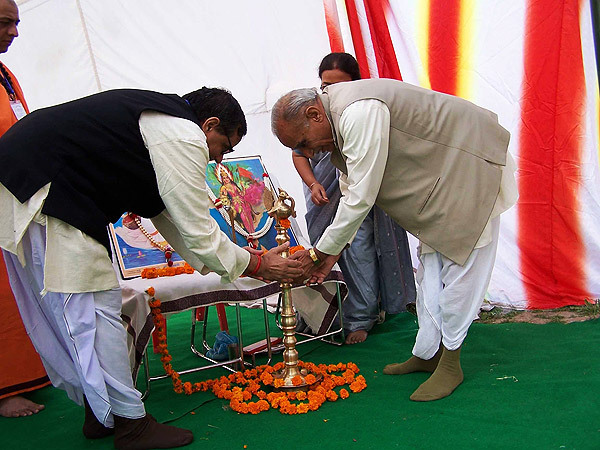 Shyamjee Gupta inaugurated the function by lighting the lamp. Around 6000 children with one of their parents, from 125 villages around Varanasi, had come to join the inauguration of their Varanasi chapter in tractor trolleys. It was an overwhelming sight . The village children showed cultural programmes and enacted play. 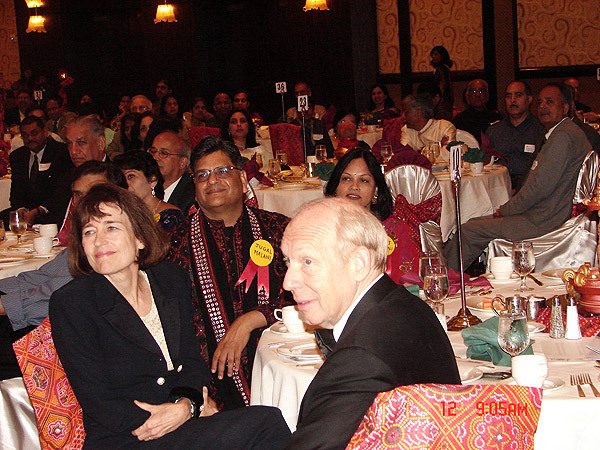 The Ekal Vidyalaya Foundation of America (EVFA)-Houston chapter and the Hindu-American community celebrated Diwali, the festival of lights, with the Honorable Mayor of Houston, Bill White at a gala dinner on November 12, 2005. The event was held at the Hilton Americas and the ballroom was beautifully decorated with multiple Diwali “Diya” decorations. In accordance with the festive occasion, the theme that resounded throughout the evening was: “Light a lamp in every child’s life. Support education of tribal children in India”. 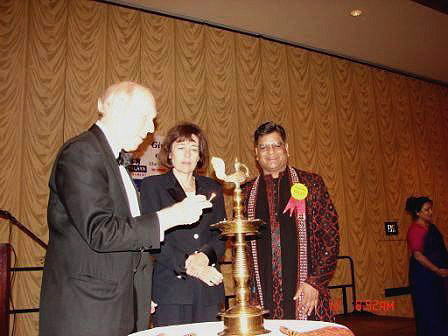 To mark the auspicious celebrations, Honorable Mayor Bill White & Mrs. Andrea White lit ceremonial lamps and were joined on stage by Consul General of India, S.M. Gavai; Houston philanthropist, Jugal Malani; and the CEO of Ekal Global, Dr. Basant Tariyal. The Mayor praised the Foundation for its sterling work in promoting grassroots literacy while underlining the contributions made by the Indian-American community in enriching the diversity of Houston. When he concluded his speech by folding his hands in ‘Namaskar’ position, the four hundred (400) members of the audience responded warmly with a standing ovation. 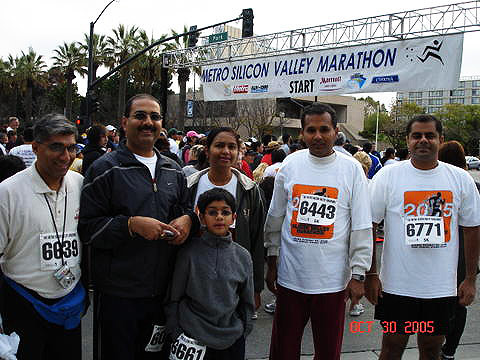 40 Year old Chandra Jaiswal had never imagined he would run a Half Marathon. "I haven't run a half mile in my life" he said to me grinning one day. But motivation springs eternal from a cause. 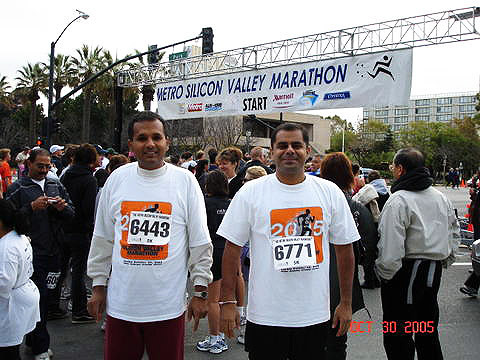 Chandra successfully completed the San Jose Silicon Valley Half Marathon on October 30th, 2005 along with his 25 other fellow runners: All for the common cause of Education. This cause is called "Ekal". 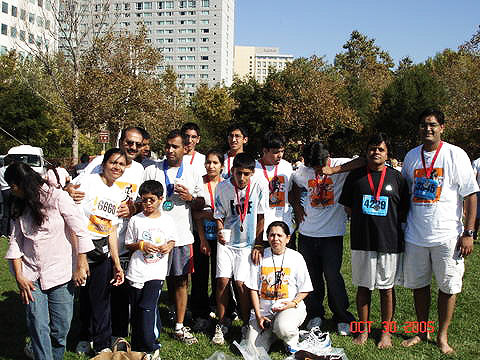 The Ekal Marathon program was initiated by Chandra Shirashyad of Fremont, CA in April of 2005, modeled after largely successful "Run for Cause" groups like Team and Training. We started with 10 initial registrants which grew into 30 registrants over the 6 months of training. 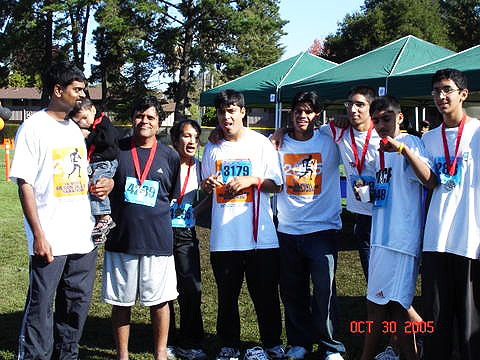 Training schedules were intense, program budget was close to zero and fundraising targets were high - considering this was Ekal's first attempt to operate a Run for Cause group. The results were remarkable. 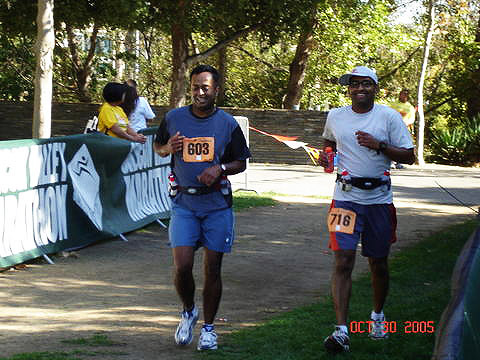 The Ekal Marathon program produced 4 Marathoners, 10 Half marathoners and ten 5Kers. 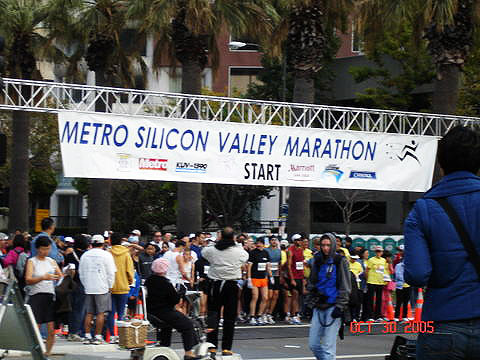 Runners are expected to raise about $15,000 which will be matched by the India Development and Relief Fund to bring the fund total close to $30,000. 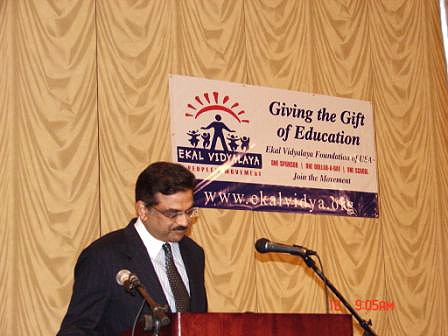 This amount in Ekal terms would translate to 100 schools, which approximates to education for 4000 children for a year. 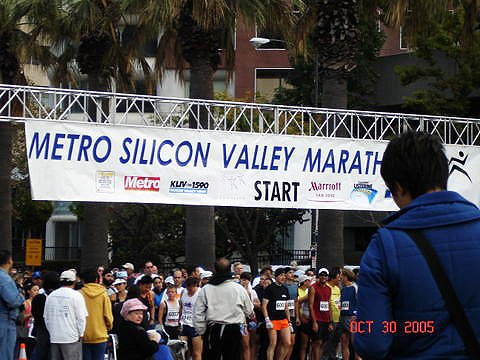 Ekal also provided 17 volunteers to help the City of San Jose to man the mile eight Aid Station and post race clean up. Deepa Jaiswal and volunteer team provided aid to all the runners at the Ekal Aid Station during Marathon. The Ekal Marathon program was unequivocally a success. Yet another modest step towards making our world a better place to live in. Shri Subhash Chandra, Chairman of Ekal Vidyalaya Foundation of India and Chairman of Zee TV Network, who was in Dubai recently to officially launch the Zee Arabia Channel, urged the Indian expatriate community to take part in the movement to eradicate illiteracy from rural and tribal India. 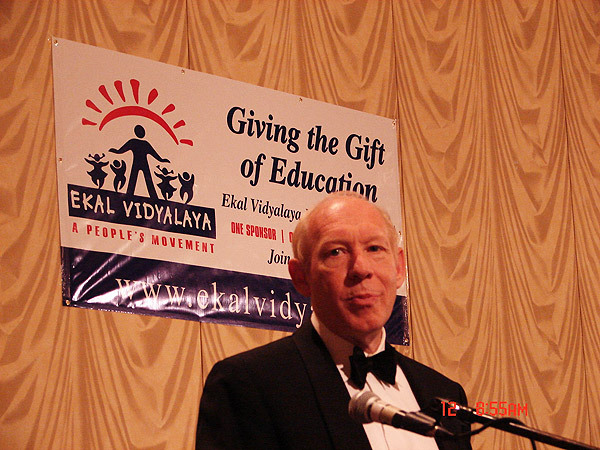 Marching Ahead with opening of Canada Chapter of Ekal Vidyalaya Foundation.